Chris Nichols author ofÂ Â â€œThe Leisure Architecture of Wayne McAllisterâ€ was a featured speaker yesterday at the Vegas Valley Book Festival.Â He also graciously conducted the tour along with MaryMargaret from the Atomic Age Alliance. 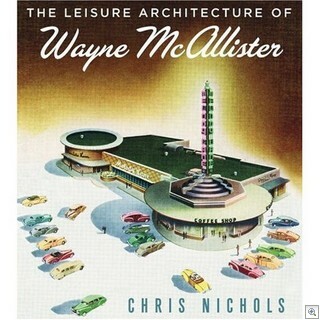 The Wiki entry on McAllister can fill you in on his life and work and influence in the creation of the strip. 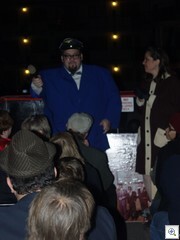 His work was a major topic of the tour. He designed the Desert Inn, The El Cortez, The Sands, The Fremont and his first work in Las Vegas, the El Rancho Vegas. The mood on the double decker,Â open airÂ bus shifted repeatedly from joy for the buildings remaining, to sadness for the treasures that have been lost. Both were pointed out along the way. The most prominent emotion displayed by those on the tour was determination to save what is left and preserve it for the future. Our first leg was a drive down Las Vegas Blvd on the way to one of the Icon Businesses of Vintage Vegas. 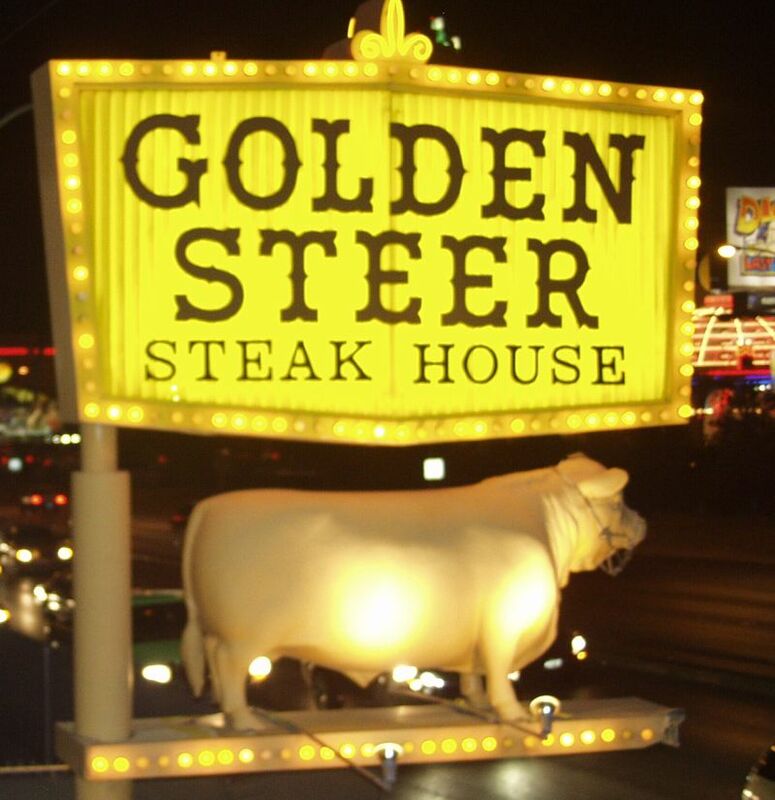 The Golden Steer Steak House is on Sahara, just west of the strip. 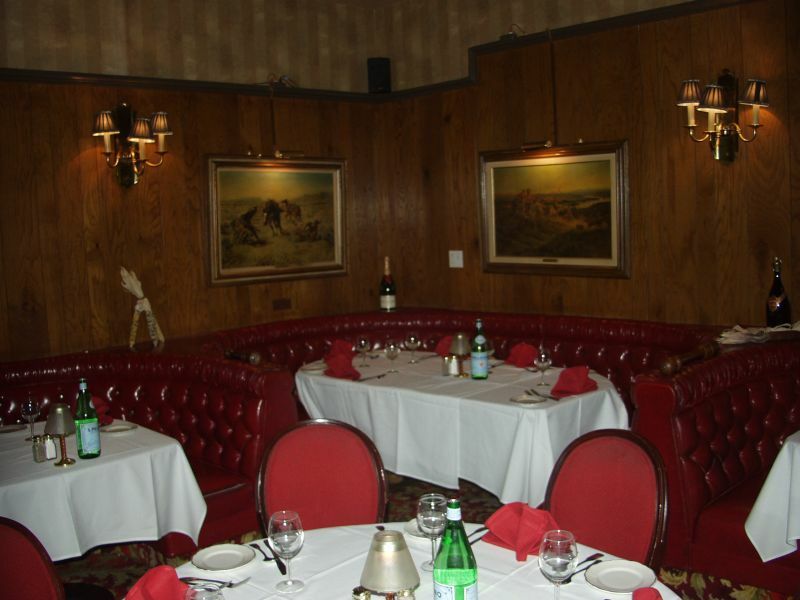 Itâ€™s been there since 1958, and is one of the best remaining examples of what Chris and Alan Hess call the â€œRed Boothâ€ period of fine dining in America. Tomorrow, Iâ€™ll publish the second installment. 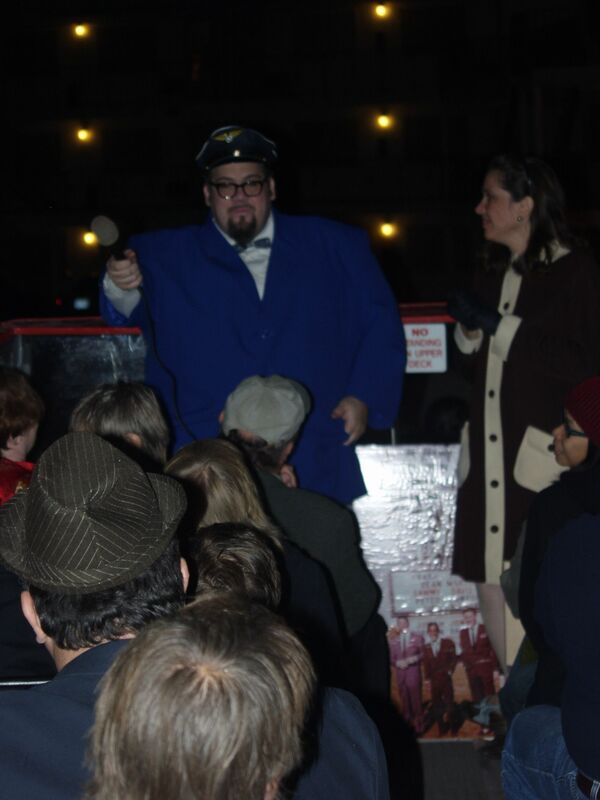 I didnâ€™t attend First Friday last night, so instead of our usual week of First Friday Posts, weâ€™ll give you a sampling of what we saw on the bus tour.